Portrait of Alvaro Obregon. 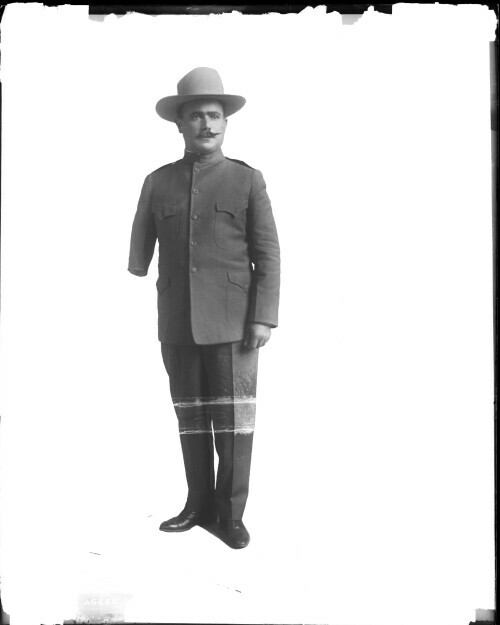 Obregon was one of several prominent and influential figures involved in the Mexican Revolution. He rose quickly through the military ranks as he displayed superb military skills in support of the regimes of Francisco Madero and Venustiano Carranza. 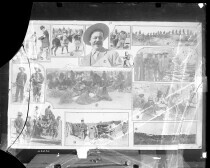 In 1915 Obregon lost his right arm in the battle of Trinidad and Santa Ana del Conde (as shown here) fighting against Pancho Villa. Obregon would later become President of Mexico from 1920 - 1924. As he prepared to resume the Mexican Presidency he was assassinated in Mexico City.